Chinese Premier Li Keqiang meets EU leaders today in preparation for an EU-China summit in Brussels next week, with trade and market access obstacles between the two giant economies expected to top the agenda. However, negotiations are expected to remain deadlocked as both sides struggle to agree on a set topic for the summit. Beijing continues to oppose longstanding EU demands that it abandon industrial subsidies and reciprocate market access for EU firms. These concerns have long held back an EU-China investment agreement that would give European companies greater access to China’s markets. 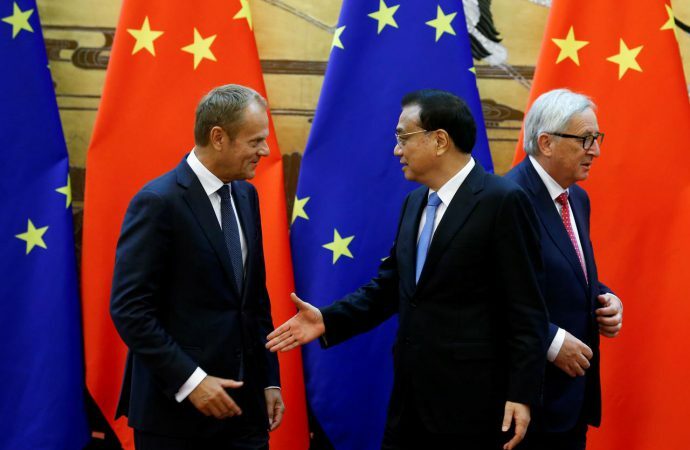 Indeed, following last month’s summit between Chinese President Xi Jinping and the leaders of Germany and France, the European Commission labelled China a ‘systemic rival’ and heightened screening of Chinese investment. France, Germany and the Netherlands had expressed serious concern about Chinese investment and takeovers in ‘strategic’ sectors such as manufacturing and defence. There is concern that such technology could eventually be transferred back to China to serve broader strategic and military purposes. A failure to agree on topics such as market access and illegal industrial subsidies under WTO rules threatens the broader investment agreement between the EU and China. As a result, expect a greater push by Western European states to lower investment screening thresholds and block certain Chinese activity. However, this would also undermine ambitions to give European companies greater opportunities in China as they seek to grow abroad.